This is the major rugby story in the country now, picked up by media outlets across the country. Articles from CBC and the Montreal Gazette linked below. It's becoming more of a workplace issue now rather than a rugby issue. The fact that the 7s players as performers are reportedly having their $5000 appearance fee from the Vancouver 7s reduced to $500 in a unilateral action by Rugby Canada is enough to merit some workplace action involving legal advice. Unilateral seems the key word here and Rugby Canada look like they've completely messed up another situation. If the end result was a way to find money for the XVs players and to have some 7s players available for XVs then this was not the way to go about it. Where are the people with common sense at HQ, it seems a difficult commodity to find these days. The 7s program might have Tevaughn Campbell back for part of the 7s season again. He's with the Montreal Alouettes and doing well apparently, in the article he attributes some of the improvement to his rugby training. It's also piquing the interest of some of his teammates about rugby. The article is in french but in Chrome you can just right click to choose the translate to english option. A reader passed on this article about a Super Rugby player getting a 7s contract. Michael Wells plays for the Waratahs and the Australian 7s team. He signed a split contract that puts him in six 7s tournaments and then returns into round 5 of Super Rugby. A few talking points jumped out while reading this, first it's rare, only the second player in Australia to do this, the other being Henry Speight. Players have to be treated individually based on abilities and contracts have to be signed in XVs and 7s. Both employers have to come to an agreement in order for this work and the player obviously had a choice in whether to sign or choose one or the other. Closer to home the Celtic Barbarians team is providing opportunities for youth in rugby 7s. 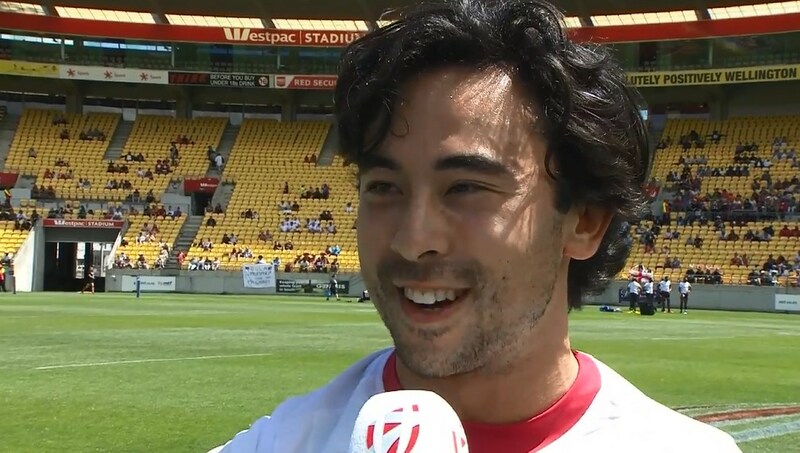 They recently returned with some hardware from the NAI7s and shared this report. The Canadian flag became a fixture on the medal podium as programs north of the border won most of the Cup Finals at the North American Invitational 7s Tourney. The final leg of the North American High School Championships provided its share of dramatic finishes, but ultimately it was Canadian-based squads that took the lion’s share of the trophies home. The Celtic Barbarians won 3 Gold and 2 Silver in the U14 and U16 Boys and Girls Divisions, while Ontario academy teams Upright Rogues and Misfits Rugby took home the U18 Boys Open and the new U20 Boys division respectively. Thirteen BC boys and girls peppered the rosters of 7 Celtic teams, with many holding leadership positions in their squads. National media and university scouts took notice of BC stars such as U16 - Kira Peary (Abbotsford) as well as U14 - Jade Meldrum (Williams Lake) and U18 Elite - Kristen Johnson (Black Creek) just to name a few. The Barbarians were thrilled with stellar performances by newcomers Storm Buck (Kelowna) and Ethan Turner (Maple Ridge) who joined a returning Jac Matthews (Coldstream) to clinch the Cup in a very competitive U16 Boys Division. Wilton’s roots run deep in BC as he played for Brentwood College, UVic Vikings, Crimson Tide, BC, and the World Famous Cowichan Piggies in their heyday. Coaching at Shawnigan Lake School and Brentwood College has also trained him well under tutelage of legends like Ivor Ford, Dave Robertson John Allpress and “Mr. Hyde-Lay”. Hannah Scherr (Prince Rupert / BC Rugby) was selected as one of four Canadians on the Barbs’ for the Paris World Games last July as well as the U18 Girls Elite at the NAI 7s. The Celtic Barbarians have been busy in 2018 with successful boys and girl’s tours to Vegas, Shawnigan Lake School, Orlando, Paris, and Salt Lake City already in the books. In October, the girls will assemble on the Island to play the Rugby Canada Athletic Academy and UVic’s freshman squad, while the boys look forward to the prestigious Dubai 7s in Nov/Dec. I just received an email from Canada Sevens re: 2019 tournament. Looking at the stadium map I noticed last years “reserved” sections have changed. They basically ran goal line to goal line. Now, “reserved” is roughly two sections at the goal lines, going from $129.00 to $139.00. In between that, the roughly centre field area is now called “sidelines”, going from $129.00 to $159.00. Added to those prices are all the usual taxes, handling, stadium, and assorted fees. I’m not sure if this is a Rugby Canada or a stand alone Canada Sevens thing, but these guys keep sticking it to the patrons. The object is to get people and families out to experience the sport at a reasonable cost, (the inside stadium costs are bad enough). Open up the whole stadium, fill the place at a reasonable fee structure. I guess the boys upstairs know they’ve got a bit of a sure thing so let’s twist the screws. Makes me shake my head. RC ... revisit the contract structure in place ... look to reinstate the 7s contracts on a yearly basis to August 31, 2019 at least at the prior year level; no need to shoot oneself in both feet; it's bad enough that a centralized 15s men's program has been in place for so many years, to such ill effect; that said, there's certainly a fit for a centralized programs in 7s. RC ... tear up the 15s/7s contracts issued to date, there being no reasonable basis upon which to fund such, in any case, i.e., before November results are seen ... assuming those are an annual contract, i.e., if that's what's been put in place ... it seems the indications to date suggest such. RC ... put in place reasonable stipends to mid-November only for all players prepared to centralize for 15s training, until then; nothing beyond that, for 15s; certainly not until it's ascertained that there will be funds for such beyond that ... AND ... certainly not until a bona fide cost-benefit analysis is done forthwith and finalized after the November test series in France, examining the effectiveness, or lack thereof, of such a model ever having been engaged in the first place, let alone continued on with and doubled done on as seems to be the case now if annual contracts are in place. RC and players ... determine which contracted 7s players would be prepared to be seconded over to 15s training and participation until such time as November test positions are selected and the finalized team there, departs; those players doing so under their 7s contracts. Players ... 7s players given 7s contracts, consider your own willingness and desire to participate on the 15s side if invited to, until such time as final November selections are made; play 15s in October and/or November if selected; thereafter, being back in the 7s fold. Players ... 15s only players; consider a repudiation of any annual contract as being a necessity at this point; be prepared to consider whatever player stipend might be on offer until the November tests have completed; thereafter, all bets being off pending funding levels after November being ascertained AND a proper centralized 15s program cost-benefit analysis being finalized. RC ...ahead of each of the October and November series of matches, do not preclude a short-term camp selection that includes not only the participation of available overseas players, all the centralized 15s players participating on the suggested stipend basis above and any 7s players seconded into the 15s preparation program ... BUT WHICH ALSO INCLUDES ... any players playing domestically, but perhaps not having been in a position to centralize or having chosen not to do so, being invited to do so as RC coaches see fit. RC coaches, 15s and 7s ... strike a reasonable balance for perhaps having 7s players or potential 7s players post November, in the 15s preparation putting in some 7s preparation time; otherwise, 7s only players and any players perhaps on a 7s trial stipend, if such a 7s stipend could be made available in some cases, train as 7s under the 7s coaching staff. RC ... review carefully budgetary constraints and available funds, with such changes as noted above, in place; thereafter, if at all possible, reinstate any 7s coaching staff let go at this point, on an annual basis. Just a few thoughts there.